Jojo Ruba is a member of Equal Rights Institute’s Board of Advisors. He is the Executive Director of Faith Beyond Belief. Jojo equips Christians to effectively explain and defend their faith using reasonable arguments that make sense to non-believers. He has spoken at venues that include Sunday morning services, secular debates on universities and morning chapels at Christian schools. Much of what Jojo has learned comes from his work speaking on the need to defend innocent people from abortion. Jojo has taught pro-life apologetics for both Christian and secular audiences for over 12 years. In that time, he saw how easily people embraced moral relativism and learned how to effectively challenge this worldview. As a Christian apologist, Jojo teaches Faith Beyond Belief’s worldview course. This includes 11 topics that Christians should understand about their faith, starting with an explanation of why truth matters. In 2009, abortion advocates at St. Mary’s University in Halifax shouted Jojo down for 45 minutes in an attempt to stop his presentation. Because of the publicity the protests received, more people attended Jojo’s subsequent talks in the area. A similar protest happened a year later at McGill University in Montreal, PQ. 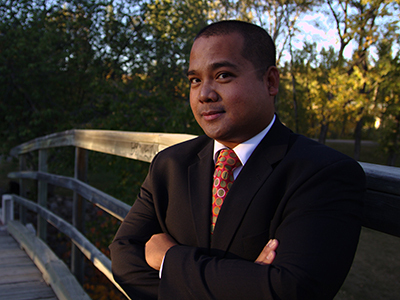 In 2012 Jojo participated in four abortion debates with three philosophy professors from British Columbia. During those debates, he defended objective morals and the value of human life in front of the professors’ own classes. Many of these students admitted Jojo’s presentation challenged their perceptions. Jojo earned a Bachelor of Journalism and a Masters in Political Science from Carleton University in Ottawa.